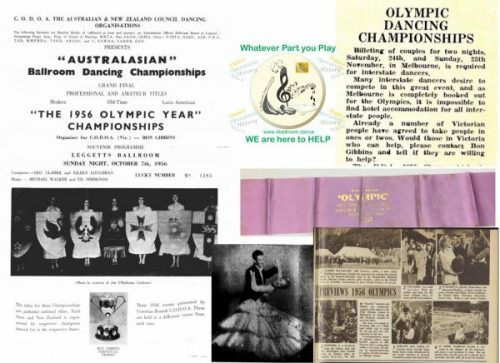 4 Ballroom Dance Co-Op announced the largest collaboration in the history of Australian ballroom dance, inviting everyone to share their dance-related memorabilia regardless of condition. 4 Ballroom Dance Co-Op, a nonprofit organization dedicated to ballroom dancing, launched a call out for the largest collaboration of Australian ballroom dancing history. The co-op invites everyone to share their experiences, photos, videos, memorabilia and any other materials relating to dance, no matter what condition they are in. More information can be found at https://4ballroom.dance/australian-ballroom-dance-history. Ballroom dancing has a long history in Australia, from early styles popular in the nineteenth century, such as the Varsoviana and the Mazurka, to the modern ballroom dances introduced in the twentieth century, including Waltz, Foxtrot, Quick Step and Tango. More than two centuries after the arrival of the new Waltz in Sydney in 1815, the new Australian ballroom dance history project launched by 4 Ballroom Dance Co-Op strives to celebrate the longstanding tradition of Australian dance by capturing unique moments from the lives of the wider community. The dance history project is archiving all materials into a variety of categories, including stories – personal journals, dance groups, musicians etc – in print, writing, pictures and film. 4 Ballroom Dance Co-Op will also convert 8mm and other analog media formats to digital. Prospective collaborators can use the online form or live contact available at the above-mentioned website to add pieces related to a wide range of topics, including dance stories, the general dance community, dance programs and many others. “We have already seen some great memories and long forgotten connections reuniting folks who have lost contact, which has been a wonderful unexpected surprise.” said a 4 Ballroom Dance Co-op supporter. All interested parties can find more information by visiting the above-mentioned website, as well as at https://4ballroom.dance/dance-history.